A new discovery by blogger Korben suggests that many MediaTek-based Android phones are susceptible to the strangest of hacks. All it takes to remotely reboot some unlucky user's phone is to text them the symbol '='. In MediaTek chipset language, this symbol apparently equals "shutdown and reboot". Korben demonstrated the vulnerability in the video below. If you are unfortunate enough to get spammed with exploitative messages, you could have your phone rendered unusable. Some popular Alcatel handsets, such as the One Touch Idol X, Idol Ultra, 997D, Pop C3, S-Pop, and Star, have been confirmed as vulnerable.To find out whether your MediaTek-based phone gets lured by the trick, text yourself '=' without the quotes. If you end up rebooting, fear not - simply change your default messaging app to something other than the default one. Hopefully the flaw doesn't end up bigger than what it currently is, otherwise hackers will have a field day with the majority of Chinese phones. Whats wrong with that anyway, he's right. All hardware/software has vulnerabilities somewhere. You are a fool to think that your safe from things like this just because you use a CPU made by a brand with a higher reputation. @Shatter... AGREE!!! When a good company like qualcom have this kind of bug, people will 'understand', but when 'second grade' company like mediatek did it, people will scream 'told you'.... and (some of) this people saying they rooted for underdog .... what a shame. Aww man, I missed the fun bit. Good points there, Shatter and WahyuWisnu :D I was just busy for worked so I "w/e"-ed it :P Well said, sirs. 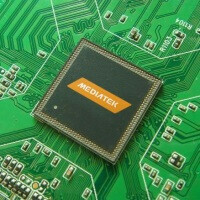 A lot if electronic gadgets like your laptop , desktop , tablet and phone have a little MediaTek inside , just like how iFans hate Samsung but cant denial the fact that Samsung is inside of many electronic gadgets just like MediaTek , no matter how you trust it or not. they might be forgeting the intel pentium bug. Thats what happens when a Third tier company makes mediocre quality chipsets, snapdragons are arguably the best. I agree that snapdragon is the best, I don't buy any other phone than snapdragon phone, but that doesn't make mediatek a bad company. each product has it's own bug/weakness. If it wasn't for mediatek, maybe the SD will be more expensive, and your snapdragon 400 MotoG will be US$400 and yours snapdragon S4 Google Nexus 7 (2013) will be US$500. Takes an idiot to believe a SoC would reboot when it copies a specific byte. i have tried to text any Cherry Mobile phone brand and the hack worked '=' will restart the phone - this could really cause annoyance if you keep on texting the '=' sign and your phone kept on rebooting.